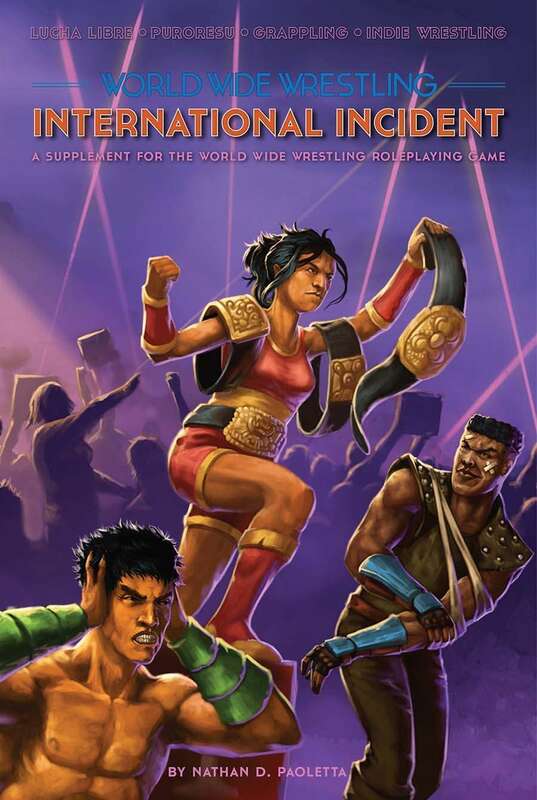 World Wide Wrestling: International Incident explores the global wrestling styles of Mexican Lucha Libre, Japanese Puroresu, British Grappling and international Indie Wrestling. It adds 6 new Gimmicks, 2 new Roles and 7 new Match Stipulations inspired by these styles, in addition to new essays, optional rules and Creative advice, and the Season Two roster. This is a supplement for the World Wide Wrestling Roleplaying Game, and requires that game to play. 7 New Match Stipulations, from Japanese Death Matches to the Lord Mountevan's Rules ( World of Sport style) to indie-style spotfests. Getting into World Wide Wrestling for the first time? Check out the WWWRPG+International Incident Bundle, only $15 for both games!